It's been two weeks since I participated in this weekly meme. I'd like to say I've been reading and blogging a lot in that time, but I haven't. I do have some reviews planned for this week, and I am determined to finish the book I started over a week ago. I haven't made it very far into it, though. I compiled a list of 13 historical fiction novels that I recommend. Check it out and let me know what your favorites are. I also wrote a review of The Bookman's Tale by Charlie Lovett. It's a wonderful novel for book lovers! 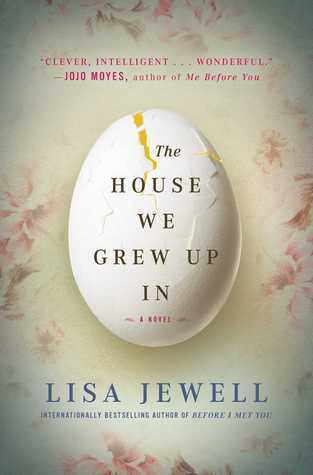 I finished The House We Grew Up In by Lisa Jewell, which I found on NetGalley. I need to write that review, but I had very mixed feelings about the book and am having a hard time putting my thoughts down. Hopefully I'll manage to do that this week. I've been reading The Beach House by Mary Alice Monroe, which is my August book club selection, but I just haven't felt like reading lately, and I couldn't decide if it was because of the book or just a general issue. So I decided to start another book, The Bone Seeker by M.J. McGrath, and I have to say that I've gotten into this one much more. 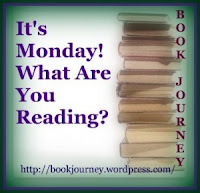 C is reading The Mysterious Benedict Society and the Perilous Journey by Trenton Lee Stewart. He read the first book in that series earlier this summer. M just finished Bad Kitty Gets a Bath by Nick Bruel. She also finished Holly the Christmas Fairy by Daisy Meadows recently. Hi, Julie! I've been gone, too (physically gone, not just missing from the blog world), so it's great to catch up with you. We liked the first Benedict Society book the best, though we enjoyed both of them on audio. Enjoy your books this week and the end of summer! Welcome back, Sue! I hope all is well. He seems to be enjoying the second book, although he got sidetracked by another series he got at the library yesterday. Yes, life definitely gets in the way sometimes! And that's okay. Have a great week! I would love to get him to write a book talk or review. Unfortunately, he's much more interested in reading than writing! Thanks for stopping by! I liked The House We Grew Up In. Will be looking for your thoughts. I had some issues with The House We Grew Up In, honestly. I think I'll get my review done this week, and I hope you check it out! Hi there Julie, I adored The Mysterious Benedict Society series - still haven't read The Extraordinary Education of Nicholas Benedict, but I already own a copy, and can't wait to read it. You know, the librarian gave C that one when the second book wasn't available. He really couldn't get into it and asked to return it without reading it. But he seems to like the second book now that he was able to get that.